Email: Daulton’s girlfriend, Amanda, told Bruno that the former All-Star catcher wanted everyone to know that he’s really positive and to send positive vibes. The radio station has set up an email address where people can do just that. The address is Dutch@975thefanatic.com. Other Facebook tribute pages are popping up encouraging use of the Twitter hashtags #PrayersForDutch, #GetWellDutch and #RightOnFightOn, referring to Daulton’s oft-used response to fans and radio show callers. I am currently in shock, disbelief. I was listening the Phanic on the way home But tonight there was no.97.5 FM called “Talking Baseball with Dutch,” which airs weeknights during the season. I heard the on air personality talk about a person in grave ill. Dear Lord. I knew Darren from 1990-1992, when he caught for my two friends, Jason Grimsley and Terry Mulholland. Darren, I just went to my local Mall to find a shirt of yours. I will find one tomorrow. All of Philadelphia is praying for your recovery. Below. Highlights of Daulton’s MLB career, 1992 All Star Game Starting Line-up. You know the rest. Best hardworking catcher in MLB. Knew Daulton knew how to control his pitchers heads on the mound, keep them focused. Masses and Novena are in your name. You are the most powerful Professional Athletes that Philly was ever witnessed. 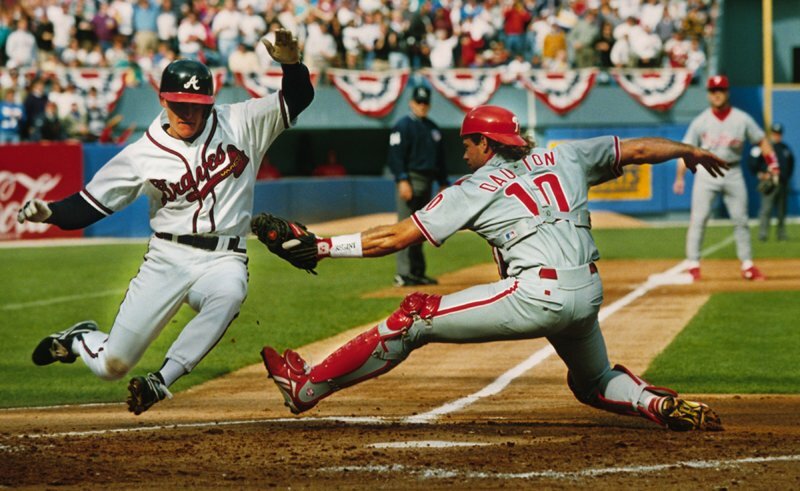 You single handled took the Phillies to the World Series in 93′. People do not know really what the catchers roll is. You blocked pass ball helped control the pitching staff in their heads You lead the Marlins to their Championship. Fight my friend. Fight like you have done your entire life. It is not your time yet to go to heaven. You still have a radio show, Talking Baseball with Dutch to do. so, Fight my friend surround yourself with positive energy. You are not leaving Philly yet. We will not let you. This is the Big Picture, Understand? O Almighty Lord, Jesus Christ, Son of God and Savior. rebuked the seas and they were calm. The same Lord that raised Lazarus from the dead. from the afflictions that they are now suffering. that the Centurion’s servant was restored to health. Thy servant up before Thy glorious Throne. and Holy Name of our Lord, God, and Savior, Jesus Christ.